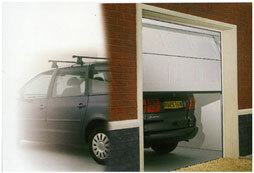 Garador are one of Britain's oldest garage door manufacturers. They began as Westland Engineers, Yeovil, Somerset as part of the Westland Helicopter Group. 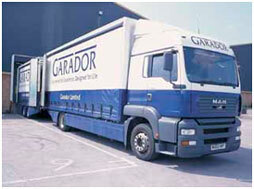 Approximately 2005 Garador were bought out by the big German garage door manufacturer Hormann. 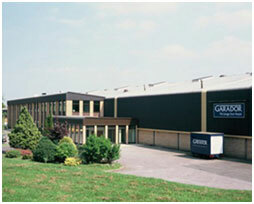 The Yeovil factory has had extensive investment and is the most modern garage door factory in Europe. 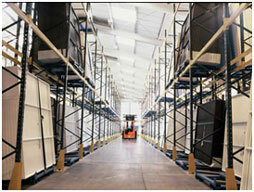 Automated manufacture, German engineering and rigid quality control have made Garador a major UK brand. Although trading as a separate entity to Hormann the Garador range of doors work on Hormann lifting gear which is of very high quality. 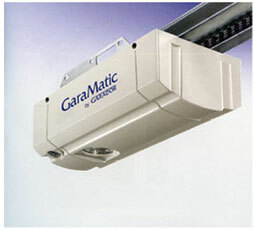 Also, the Garador Remote Controls are Hormann products branded as Garador products. 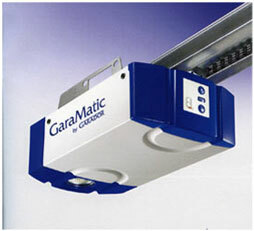 The Garamatic 7 is in fact the Hormann Promatic and the Garador 10 is the Hormann Supramatic. Garador's Design Range and Garador Guardian ranges of steel garage doors offer a great range for customers looking for powder coated steel doors in a wide range of standard sizes. 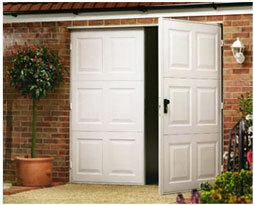 Unlike Hormann they also offer certain popular styles of door made to measure from 1830mm wide up to 5000mm wide. Unlike most of their competitors Garador make a range of powder coated steel side hinged garage doors in white or various standard colours. They are available in standard sizes or made to measure. The side hinged doors come with a pre-installed steel fixing frame and door hardware making the door installation quick and easy. Garador offer a range of GRP (Glass Reinforced Plastic) doors in Ebony, Matt White Woodgrain, Dark Mahogany, Cherry Oak, Mahogany, Honey, Golden Brown, Dark Oak and White Gloss. These doors can come with windows as an option at extra cost. From mid 2009 the Garador GRP range are manufactured at Wessex Garage Doors. 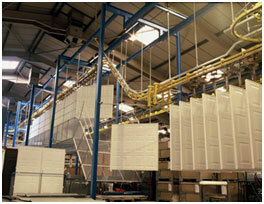 Their GRP doors are constructed by means of a powder coated steel chassis frame with a GRP infill panel. 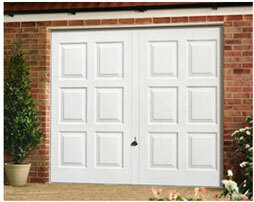 Glass fibre garage doors are maintenance free. 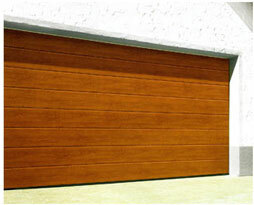 Garador also manufacture timber garage doors in cedarwood. A naturally rot resistant timber. Cedar is light, strong and stable. 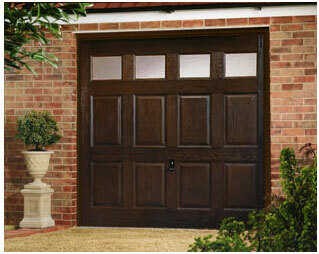 An ideal timber for garage doors. The GRP and the timber garage doors are both manufactured by means of a steel chassis being infilled with the timber or GRP panel. The steel chassis is strong, stable and neat. 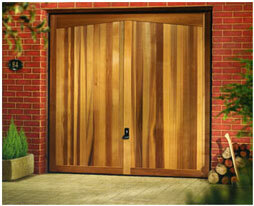 One of Garadors most popular doors today is their sectional and insulated sectional garage door. Available in single skin non-insulated, 20mm and 42mm thick foam filled. The twin walled construction of the insulated sectional door makes it rigid, strong, quiet and extra secure. Generally available in White, Golden Oak, and Rosewood the Garador sectional door is also available in a range of colours on a slightly longer lead time. 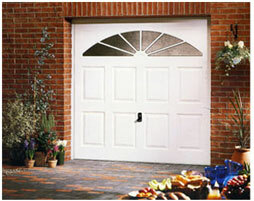 All round rubber seals make this door ideal for garages joined to the house, have a room above etc. Arridge Garage Doors sell both the Garador and the Hormann brand at equally large discounts offering technical help and advice. We have a nationwide delivery service and can offer installation in most areas.